Foolishness is bound up in the heart of a child; The rod of correction will drive it far from him. (Proverbs 22:15 NKJV). 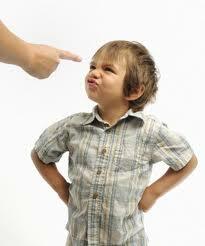 Children just naturally do silly, careless things, but a good spanking will teach them how to behave. (Proverbs 22:15 GNT). The word of God says a good spanking will teach children how to behave. I believe this is about reasonable chastisement. If you are a reader or follower of the blog, and you live in England, the law of the country discourages children to be chastised in an unreasonable manner and there must not be a mark on the child. Parents are sometimes issued with a PPRC (Person Who Poses Risk to Children) conviction and they would not be allowed to work with children and you will be exempted from some jobs. How do we balance this law with the Word of God? Train up a child in the way he should go, And when he is old he will not depart from it (Proverbs 22:6).